I had the pleasure of visiting Peru in March. And of course, I had to try the local tea. 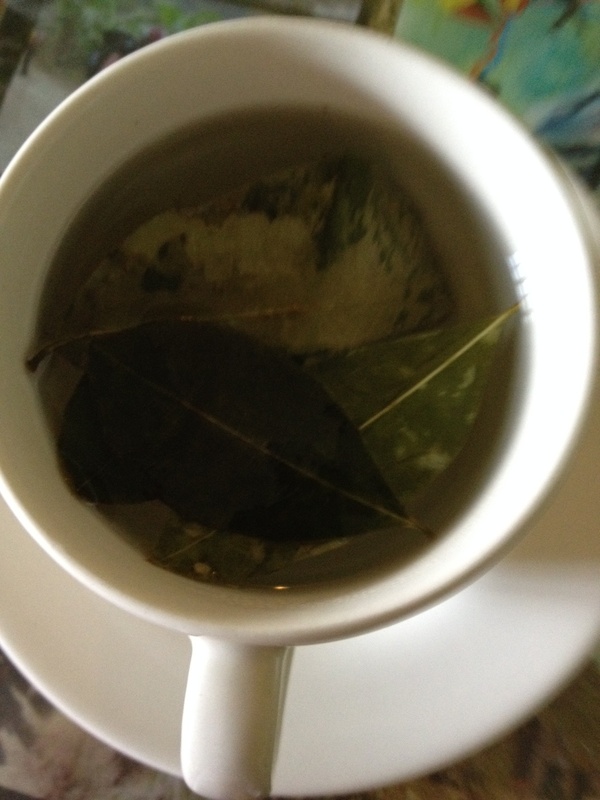 Although I didn’t find any notable “tea” per se, I did enjoy coca tea, or mate de coca (an herbal infusion). What is coca? In a nutshell (as described on Wikipedia, yes, Wikipedia), Coca is a plant native to South America, grown in Argentina, Bolivia, Colombia and of course, Peru. Unfortunately, the plant is known throughout the world for the alkaloid it creates – cocaine. In Peru, it is instead part of the traditional Andean culture. The content of cocaine in coca itself is minimal – between 0.25% – 0.77%. However, this is the stigma it has worldwide and as such I was unable to take any home. In Peru, many enjoy coca leaves simply by chewing on them. I, however, really enjoyed it steeped. It is delicious! It tastes like a combination between green tea and mate – earthy and sweet, with a yellow green appearance. The abuse of coca is quite sad, and really quite unfortunate given the many uses of the plant. The main reasons for coca leaf consumption in the Andes include: energizer, medicinal, social and sacred. As an energizer, coca can act similarly to caffeine as well as reduce hunger. It also offers numerous medicinal properties. Socially, coca can be used in labor exchange. As sacred, it allows people to communicate with the supernatural world and obtain protection. During my visit to Machu Picchu, our guide provided us each with 3 coca leaves. Traditionally, the Peruvian peoples will leave the coca leaves behind as an offering or to obtain protection. We left them in the stones for our own personal ritual offering, which was quite lovely. Our guide asked us to give thanks to those who we wanted to and to appreciate being in the mountains of Machu Picchu and in Peru. I am particularly interested in the medicinal properties of the plant, as there are many. For me, it was helpful for the altitude sickness I was experiencing in Peru. Livestrong names a few other of the benefits including: weight loss, energy, boosted immune system and aiding in digestion. I look forward to seeing what happens with coca in the future, and for now will have to remember the taste of the tea until I return to South America!